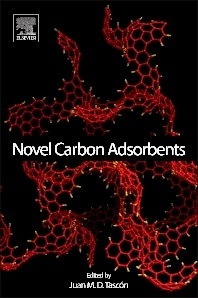 Following in the lineage of Adsorption by Carbons (Bottani & Tascon, 2008), this work explores current research within contemporary novel carbon adsorbents. Both basic and applied aspects are discussed for this important class of materials. The first section of the book introduces physical adsorption and carbonaceous materials, and is followed by a section concerning the fundamentals of adsorption by carbons. This leads to development of a series of theoretical concepts that serve as an introduction to the following section in which adsorption is mainly envisaged as a tool to characterize the porous texture and surface chemistry of carbons. Particular attention is paid to novel nanocarbons, and the electrochemistry of adsorption by carbons is also addressed. Finally, several important technological applications of gas and liquid adsorption by carbons in areas such as environmental protection and energy storage constitute the last section of the book. 18.1 Introduction: Fuel Cells and Carbons: Why Carbon is Indispensable in Fuel Cells?